This series provides a clearly structured and comprehensive overview of fracture treatments based on the most recent scientific data. Each book in the series is organized anatomically, so the surgeon can quickly access practical aspects, examples, pearls and pitfalls. 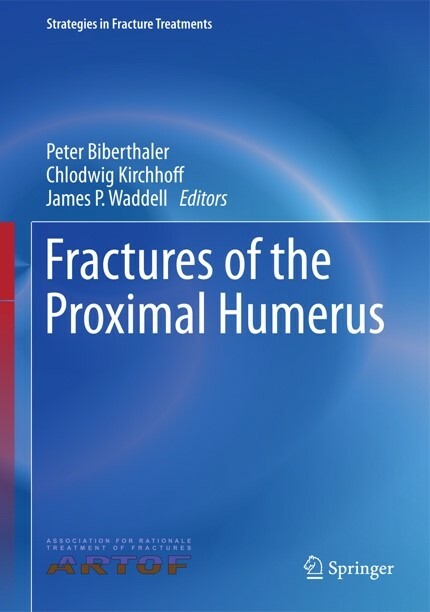 In this first volume in the series, fractures of the proximal humerus are examined with an overview of fracture morphology, injury pattern, preoperative considerations, conservative treatment, surgical management and postoperative care. Fractures of the Proximal Humerus is written by a group of experts from the Association for the Rationale Treatment of Fractures (ARTOF) who aim to provide an independent, unbiased summary of fracture treatments to improve clinical outcomes. Trauma and orthopaedic surgeons worldwide who are searching for current knowledge of new implants, therapeutic strategies and advancements will be able to quickly and accurately apply the information from this book to provide the best possible care for their patients. Sign up for our quarterly newsletter and stay connected! We will keep you informed about upcoming events!